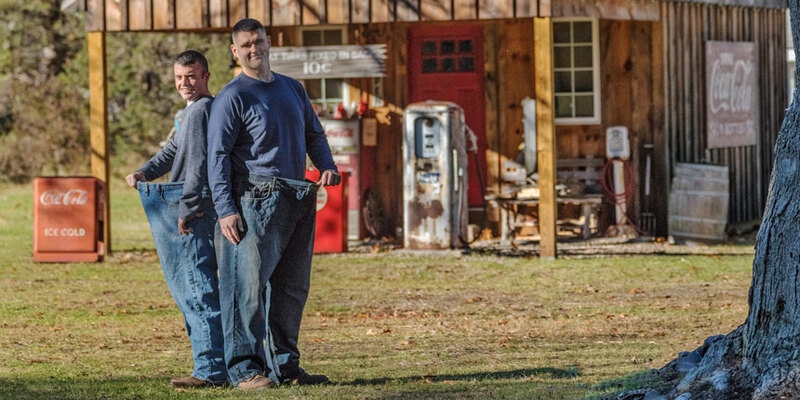 When Mark Brulport reached 436 pounds at age 23, he decided he was not living the life he wanted — a life with more energy for hunting, fishing and hiking. Doctors also warned him that the excess weight threatened his heart. Mark had been overweight his whole life, and exercise and attempts to diet weren’t working. Mark, who lives in Norwell, heard about Southcoast’s Weight Loss Surgery (WLS) program at Tobey Hospital from his aunt, who urged him to go with her to a seminar. Mark met Dr. Rayford Kruger, medical director of the WLS program. He also regularly saw the program’s doctors and nurses while preparing for gastric sleeve surgery in June 2014. 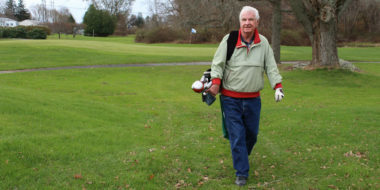 With their guidance, he lost 17 pounds before surgery and began learning about exercise and nutrition. Dan followed Mark’s progress in the WLS prgram: In the first year, Mark lost 150 pounds. Soon, his size 54 pants were down to a size 36, and his weight down around 240 pounds, which is considered healthy for a 6-foot-3-inch man. Dan was convinced to go to a seminar at Tobey Hospital. In March 2016, after careful health screenings to be sure he was safely eligible for the surgery and a series of meetings with Dr. Kruger, Dan had the same gastric sleeve surgery as his friend Mark. “I am now at about 156 pounds and size 30 pants,” Dan says. Every week in Massachusetts, more than 100 people enter the hospital with diabetes-related illnesses, and dozens of people will face amputation, blindness and even death over the course of the disease. The scourge of diabetes is rapidly growing in Massachusetts, and the South Coast in particular is facing a healthcare crisis that needs to be addressed. According to state health statistics, New Bedford, Fall River and Wareham all have rates of obesity that far exceed state averages, and that means higher-than-average rates of type 2 diabetes. Those who have a family history of diabetes, are overweight, obese or eat a high-calorie diet are more at risk for developing type 2 diabetes. In one of the most intensive studies of weight and diabetes, University of Pittsburgh medical researchers determined that the single best step patients who are significantly obese and concerned about diabetes can take is bariatric surgery. That study determined that gastric bypass surgery recipients lost an average of 25 percent of their body weight, compared to a 5.7 percent drop for participants who changed just diet and lifestyle. And, the study showed, 65 percent of the gastric bypass patients no longer needed blood sugar-lowering medications, and saw far more diabetes remission than patients who simply altered their lifestyle. Southcoast’s Weight Loss Surgery program has become New England’s largest and most successful, working with patients to address the primary environmental factor that causes diabetes — weight gain resulting in obesity. 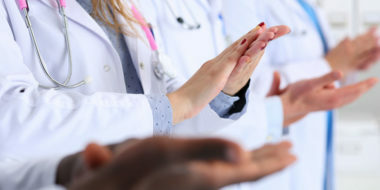 The WLS program at Southcoast helps more than 700 patients a year through certified centers at Tobey Hospital in Wareham and Charlton Memorial Hospital in Fall River. Dr. Kruger stresses that surgery is only part of the solution for patients like Mark and Dan. “Bariatric surgery is a significant part of our practice, but it takes more than surgery to achieve long-term success,” he says. The WLS program at Southcoast treats patients who are morbidly obese or significantly overweight — defined as being 100 or more pounds overweight — with surgical procedures that allow people to lose the weight safely and improve their health by resolving obesity-related health conditions. Dr. Kruger says a successful program follows up with patients after surgery to be certain vitamin levels, weight, exercise and nutrition issues are under control. Both Mark and Dan talk about the difference the enormous weight loss has made in their lives. Each of them say they have increased energy and are enjoying activities they could not before. Dan, who works as a heavy equipment operator, says that weight-related pain he endured for years — in his neck, back and legs — has melted away. But he emphasizes that achieving success has required discipline: He worked with staff at the WLS program for months after his surgery to be certain he was adhering to a healthy diet and taking vitamins. And he continues to walk three or four miles every day. Mark also believes that following the exercise and nutrition guidance of Southcoast doctors and nurses is key. But you don’t have to do it alone. 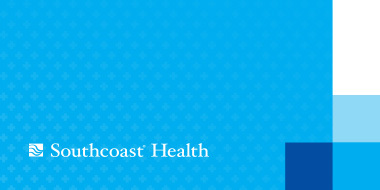 Learn how the Southcoast Center for Weight Loss can help you meet your weight-loss goals.